At some point during their loved ones' lives, family members may realize they can no longer provide the care seniors need. This is where assisted living communities come into consideration. These communities provide a stable and safe place where loved ones can thrive under the care of well-trained and knowledgeable professionals. 1. Can we take a tour? Families and their aging loved ones can do all the research they want online, but an in-person visit is the best indicator of whether an assisted living community will work for seniors. While touring their potential new home, it's important for decision makers to pay attention to the cleanliness of the community as well as the overall mood of the residents. Ask if you can stay for a meal, observe activities and speak with some of the seniors about their experiences, with their guardians' permission, of course. 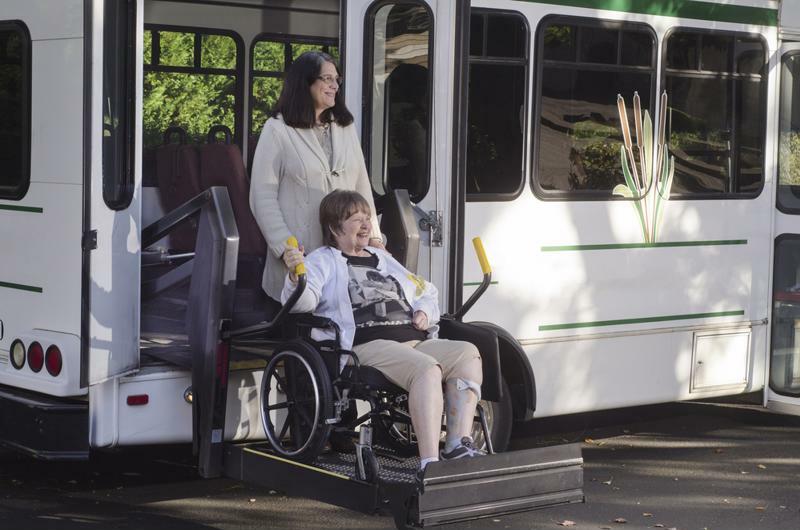 Touring an assisted living community can help in families' decision-making process. 2. What is security like? Every senior is different. Each loved one requires an individual level of care, some needing more vigilance than others. It's a difficult question to ask, but understanding the security provided by an assisted living community is imperative to family members' well-being. Caretakers should also inquire about safety measures, including accessibility and protocols for emergencies. With an understanding of this element of seniors' new homes, loved ones can rest assured that their loved ones will be taken care of. 3. What are the units like? Sizes and types of rooms. Units that come with kitchens or kitchenettes. Special care units for residents with dementia or Alzheimer's. "Medicare doesn't cover assisted living communities." One of the most challenging aspects of choosing an assisted living community is the cost associated with the care. Medicare does not cover these kinds of services, so most families end up paying for it out of pocket. Medicaid can help, but only once loved ones' finances and assets are below a certain level. Family members should inquire not only about the expenses of an assisted living community, but what form of payment these residences accept. With this information, loved ones can find a place for their parents or grandparents that not only offers a strong level of care, but doesn't break the bank. 5. Where is the community located? It's common for family members to want to find an assisted living community that is within a close proximity to loved ones. This way, children, grandchildren, nieces, nephews and other friends and family members can visit seniors on a regular basis. While this is an understandable mindset, you shouldn't choose a new residence for seniors based strictly on location. The best assisted living community for loved ones may be a little bit of a trek, but at least seniors are getting the highest level of care possible. Pay attention to location, but don't make that the deciding factor, according to PBS. We want to make sure our loved ones receive the assistance they need depending on their health and well-being. While keeping seniors at home is a good strategy, there may come a time when additional help is needed. Assisted living communities offer this kind of care, while also providing fun activities, delicious and healthy meals and a social circle for seniors. Selecting a new residence is no easy feat, so use the aforementioned questions to make the right decision for your loved one.